The plug and play operation makes setup a snap. All the user must do is remove the fixture from the box and connect the cables. The fixture will automatically link to the Orphek Gateway allowing you immediate access to the software via your phone or tablet. Additionally, both iOS and Android apps will be available, so both sides of the fence will be happy. 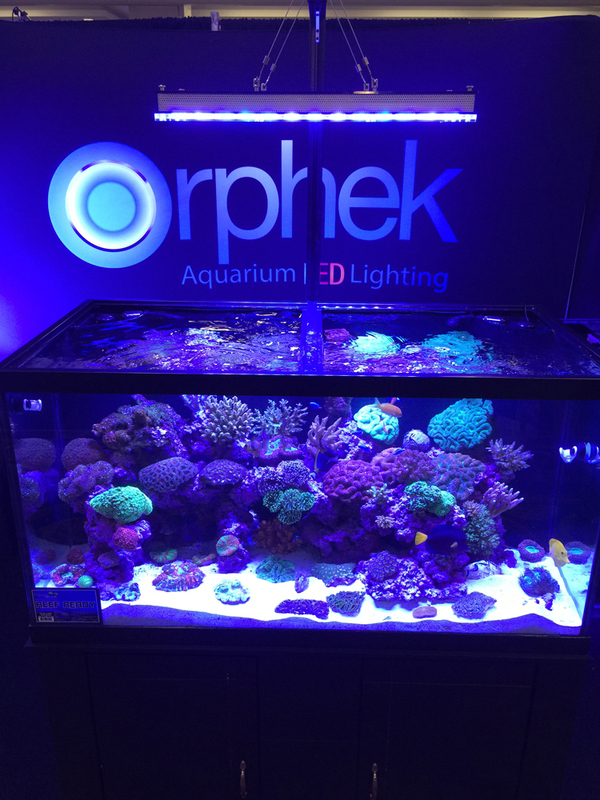 Walking around and looking at the aquarium displays throughout MACNA this year, it became very obvious that the Orphek tank was one of the nicest displays present. 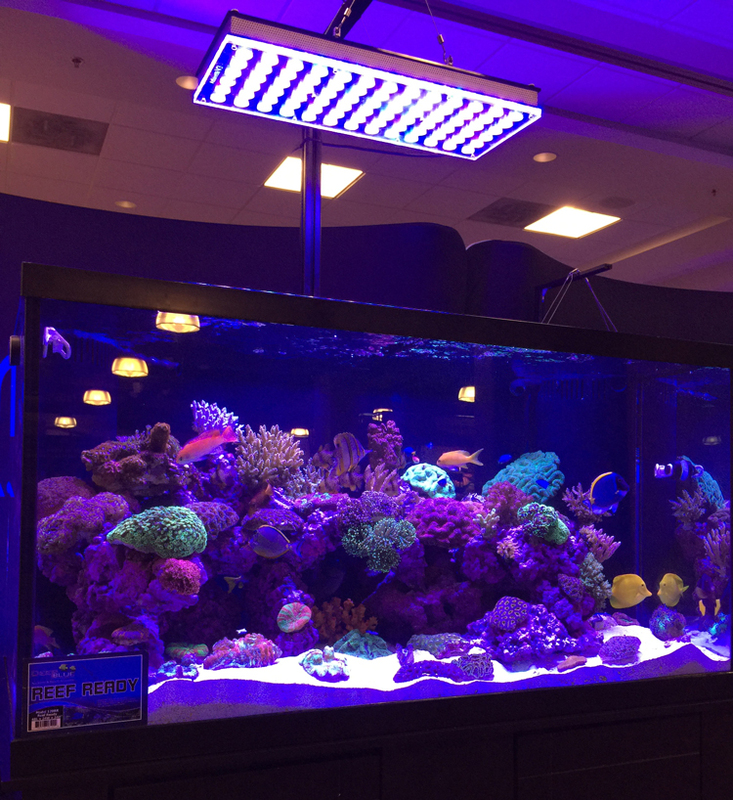 The blacked out booth and lighting allowed the visitors to focus on the beautiful coloration of the fish and corals provided by Rick’s Fish and Pets in Frederick, MD. The selection of corals and fish were enough to impress even the biggest AquaNerds. The fish selection included a Purple Tang and several collector Wrasses that aren’t seen very often in the hobby, let alone at an industry trade show. Anticipated release ahead of Christmas 2015 but it may be as soon as 4 weeks from the time of this article being published. To learn more about Orphek products please visit the Orphek Website. 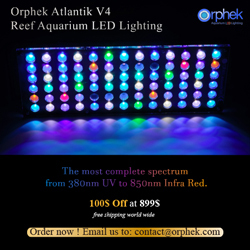 Orphek will still continue to manufacture the popular Atlantik v2.1 series and they will offer a reasonably priced upgrade kit to allow the use of iOS on all previous models of Orphek Atlantik products. We understand from speaking to Scott at the Orphek booth that the upgrade kit will be user friendly and easy to install once it becomes available. Over 1 year in testing and development with a focus on higher end SPS corals and harder to keep acropora species. 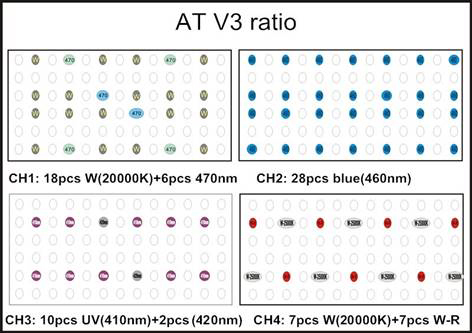 New UV channel includes the use of Orphek’s unique UV leds giving a very deep blue/purple that is different than the normal actinic blue that people are used to and needs to be seen to believe. FULL SPECTRUM- This a full spectrum light that is essential for optimum coral health and growth.